A truck's GVWR is the maximum weight rating established by the chassis manufacturer. GVW is the total weight of the truck and payload at a point in time. Often, GVWR and gross vehicle weight (GVW) are thought to be the same, but they are not. A truck's GVWR is the maximum weight rating established by the chassis manufacturer. GVW is the total weight of the truck and payload at a point in time. There's a common misconception that a truck's GVWR is determined by adding gross axle weight ratings (GAWRs) together for all axles. Although this was a common way of calculating GVWR many years ago, it's no longer an accurate method. The chassis manufacturer task of establishing a vehicle GVWR is much more difficult today due to advancement of safety system standards and how vehicles meet these requirements. This is why many trucks have a GVWR much lower than the combined axle ratings. It is not uncommon for a truck with a GVWR of 19,500 lbs. to have a front axle rated at 7,500 lbs. and a rear axle rated at 14,700 lbs. Safety standards that apply to braking, vehicle stability and chassis manufacturer internal standards for durability, dynamic stability and handling can restrict GVWR even though the sum of the axle ratings exceeds 22,000 pounds. In this instance, the OEM set the GVWR at 19,500 lbs. based on test results and vehicle dynamic performance to ensure a safe, reliable truck. A specific vehicle's GCWR is based on parameters established by chassis manufacturers. The manufacturer makes an assessment in accordance with SAE International test protocols, determining maximum GCWR. Additionally, the OEM runs stringent tests based on internal requirements, which may include testing total GCWR braking capability using only the towing vehicle chassis braking system. GCWR is the total weight of the truck pulling the trailer and the trailer itself. The truck chassis dictates proper GCWR for safe operation of the combination truck and trailer. When end users and fleets are looking to either purchase or specify the proper chassis for their needs, different driver qualifications and regulations are part of the process. A key driver qualification is the commercial driver's license rule, better known as CDL. Many fleets prefer to specify their chassis in a way that allows drivers without a CDL license to operate their vehicles. Federal CDL requirements help clarify what's considered a non-CDL truck and how GVWR comes into play. Each individual state may have more stringent CDL licensing requirements. However, every state must follow federal requirements as a baseline. One element in federal CDL operator requirements is a vehicle's GVWR. The federal requirement specifies that, when a vehicle has a GVWR of 26,000 lbs. or less, the operator does not need a CDL license. However, this does not mean the truck GVW can be loaded above the GVWR of 26,000 lbs. and operated by a non-CDL driver. Federal requirements state the GVW must, in addition, be 26,000 lbs. or less. CDL requirements become more confusing when the vehicle is towing a trailer. There are three key aspects to consider when assessing CDL operator requirements for commercial work trucks involved in towing a trailer: truck GVWR, trailer GVWR and GCWR of the truck-trailer combination. Trailer GVWR is most critical to determining when a CDL is required. When a trailer has a GVWR of 10,001 lbs. or more and the combined GCWR of the truck and trailer is 26,001 lbs. or more, a CDL is required by the operator. For example, if a trailer has a GVWR of 11,500 lbs. and is towed by a truck with a GVWR of 15,000 lbs., resulting in a GCWR of 26,500 lbs., then the operator must have a CDL. In contrast, when the trailer in the truck-trailer combination has a GVWR of 10,000 lbs. or less, the CDL requirements allow for a greater GCWR for both the truck and trailer without requiring a CDL license. For example, a truck with a GVWR of 26,000 lbs. or less can tow a trailer with a GVWR of 10,000 lbs. or less and not require the operator to have a CDL under federal requirements. However, CDL requirements mandate that the truck and trailer GVW not exceed 26,000 lbs. and 10,000 lbs., respectively. In short, the truck and trailer cannot be overloaded. 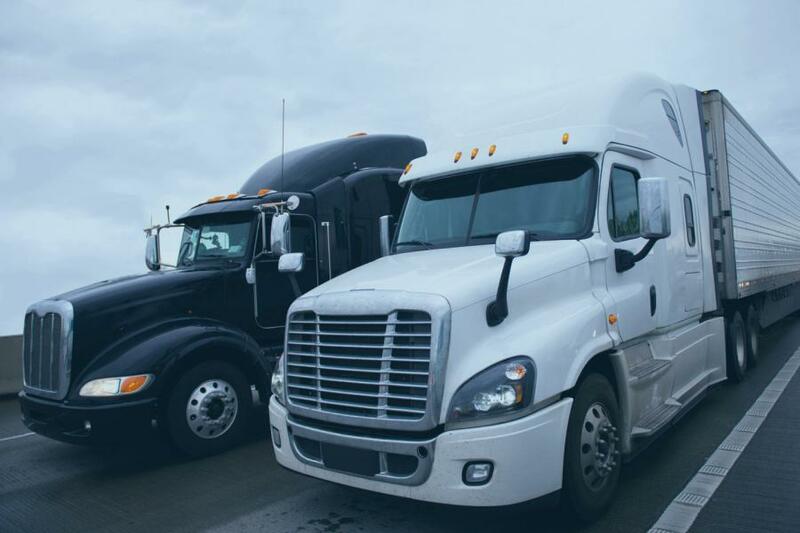 When determining the truck and trailer combination(s) that end customers or fleets want, it's important to understand which combination(s) will require a CDL or know how to specify and load trucks and trailers properly to remain within CDL weight limitations. There's a common perception that a truck's original GVWR can be changed to avoid CDL requirements. Even though there are provisions in the vehicle certification rules that allow the company finishing the new incomplete vehicle (final-stage manufacturer) to determine the vehicle's final GVWR, the final-stage manufacturer is typically reluctant to make changes to the original GVWR without guidance from the incomplete vehicle manufacturer. Many incomplete medium-duty vehicle manufacturers include GVWR information as part of the Vehicle Identification Number (VIN) coding in the vehicle description section (4–8) and, therefore, will not change an incomplete vehicle's GVWR after it is manufactured as the VIN would need to be updated. Many incomplete vehicle OEMs will provide guidance about changing GVWR for a VIN-specific new incomplete chassis through their dealer network; however, they make the final-stage manufacturer the responsible party. Many times, altering GVWR requires changing key components (such as tires, suspensions or even axles). If a company claims it can change GVWR, consider asking about the organization's approach to testing, engineering analysis and certification documentation to ensure ongoing compliance. As a company or fleet, you're placing your employees in these vehicles. It is very important to company wellbeing and employee safety to make sure the trucks you purchase are designed for their intended purposes and GVWR and GCWR are specified properly for safe, efficient operation. For more information, visit ntea.com.